Tankless water heaters provide hot water instantly as and when it is needed. Currently where technology advancement is on an all-time high, tankless water heater in Phoenix, AZ are the real deal. Below are the three most rated advantages that tankless water heaters have over storage water heaters. Tankless water heaters do not need to heat the water and then store it for use at a later time, this saves on the gas or electricity that would have been used to heat or warm gallons of water that may not be used. It is estimated that for an average household using over 50 liters of hot water a day, the tankless water heater gives them a 20% to 30% saving on power or gas. With a tankless water heater, there is always an assurance that hot water will be availed immediately when it is needed. This provides convenience; there will be no scheduling for hot water since it is not going to get finished when you need it. On a cold morning, it is easy to get late as you wait for the storage water heater tank to fill up or for it to warm again because the water lost heat. With a tankless water heater however, there are no delays. Tankless water heaters in Phoenix, AZ are durable with their years of work ranging from 20 to 30 years while storage tank heaters last averagely 10 to 15 years. Tankless water heaters are also very easy to maintain and repair since their spare parts are readily available and cost effective. 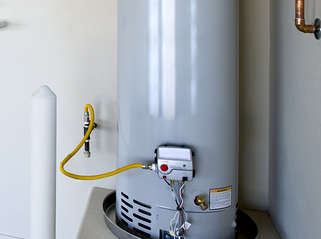 These water heaters are cost-effective, convenient and long lasting. This makes them a great alternative currently. You should consider getting yourself one of these if you care about your monthly bills and convenience. Make sure to buy your tankless water heater from a reputable store to ensure you get the best.